Switzerland, the home of the famous “crypto valley” hinting at the city of Zug, is one of the few EU countries which has been approving and warm towards bitcoin and cryptocurrencies as a whole and from the beginning. There is now this new big step towards mainstream adoption of cryptocurrency, the popularization and development of the cryptocurrency industry and it is related to the fact that Switzerland’s biggest e-commerce website is adopting bitcoin as a mode of payment. Read more below. Digitec Galaxus AG is the largest online retailer in Switzerland. It handles two online department stores – Digitec and Galaxus, along with more than ten physical stores in the German- and French-speaking parts of Switzerland in locations such as Basel, Bern, Dietikon, Geneva, Kriens, Lausanne, St. Gallen, Winterthur, Wohlen (AG) and Zurich. What does Digitec Galaxus AG have to do with cryptocurrencies? Since recently, the so-called ‘Amazon of Switzerland’ has much to do with them actually …as it has started accepting Bitcoin and several other cryptocurrencies as a means of payment. This new option will only be available for Swiss customers first, who will now be able to pay in bitcoin when shopping online. 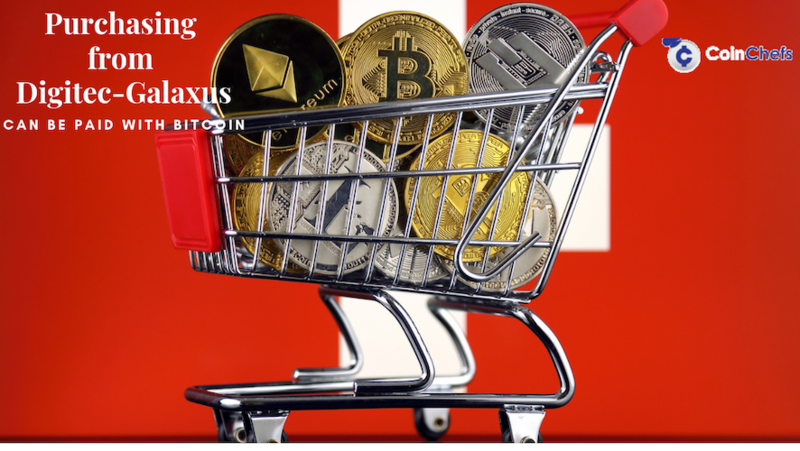 As you may know, Switzerland has long been the most crypto-friendly country with wide cryptocurrency adoption, various crypto startups, and progressive and favorable regulations, and it is no surprise retailers are tempted to follow the trend. Company officials from Digitec Galaxus AG even admit that the main reason for the adoption of bitcoin as a payment method on their platform is to win over the young tech-savvy target groups and to stand out as a forward-thinking company. As the online retail market leader took such a huge and bold step, it is very likely for their competitors, the other swiss retailers, to follow their example. All transactions are being processed by third-party payment processor Coinify and then immediately converted to Swiss francs, so the price volatility will be as little an issue as it can be. Moreover, the rates will be fixed for 15 minutes so that the customers don’t have to worry about volatility and surprises. Digitec Galaxus also states that the payment procedure will be as easy and straightforward as possible. After choosing the option “Cryptocurrency” at the purchase checkout, the customer will be redirected to the Coinify website where they will be able to select the specific cryptocurrency they want to use. Then, the page will display an address as well as a QR-code, to which the user will send the payment. Digital Galaxus will not charge any fees for cryptocurrency payments; however, the will be a 1.5 percent (of the purchase sum) conversion rate from the side of Coinify.